One of the most important functions of Colorado College’s Alumni Association Board is to recognize the contributions of distinguished alumni, faculty members, and members of the CC community to the betterment of society and to the enhancement of the college and its mission. 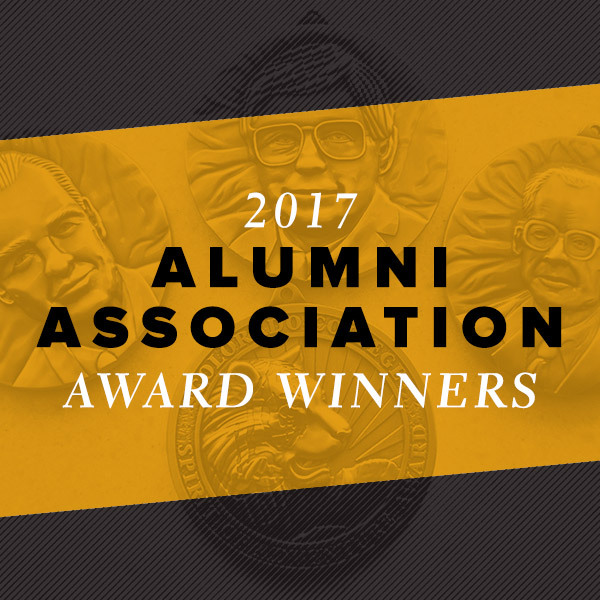 The Alumni Association Board acknowledges these alumni and staff members through four awards to be given at Homecoming 2017. The Homecoming Convocation and Alumni Awards Ceremony will take place Oct. 14, 10–11 a.m. at Shove Memorial Chapel. Recipients of the Louis T. Benezet Award are Julie Miller Cribbs ’90 and Linda Seger ’67. 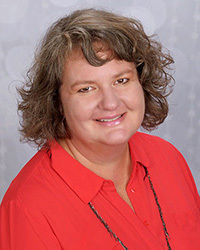 Julie Miller-Cribbs ’90 is director of the University of Oklahoma School of Social Work and the Oklahoma Medicaid Endowed Professor in Mental Health. As the academic and administrative leader of the Anne and Henry Zarrow School of Social Work, she has developed an interdisciplinary curriculum in the areas of ethics, family social services, mental health practice, and health care practice to advance the continuing education of practicing human service professionals. Miller-Cribbs has distinguished herself within the state, nationally, and internationally in developing social work to support vulnerable families, children, and adults coping with economic, social, and cultural displacement. Her research has resulted in practical applications of health-focused social work with an emphasis on family well-being, early intervention, and collaboration between social work and health care providers. Miller-Cribb’s accolades include the Oklahoma Chapter of the National Association of Social Workers Social Worker of the Year Award (2012), the Presidential Leadership Award, for Excellence in Research Development (2010), 100 for the 100th Honorees, and the Anne & Henry Zarrow School of Social Work Centennial Celebration. She was recognized as the leadership scholar by the Leadership Initiative in Social Work Education, Council on Social Work Education, and Harvard Management Development Program (2012). Linda Seger ’67 created a new field within the film industry – that of the independent, entrepreneurial script consultant. She has trained script consultants and has presented seminars on screenwriting around the world. She is recognized internationally as one of the foremost authorities in the area of screenwriting. Through her book, “The Better Way to Win: Connecting, Not Competing, for Success,” she defined and encouraged a movement from competitive to collaborative thinking, exploring what it meant in the competitive world of film. Throughout her career, she has given seminars in more than 30 countries, including the first professional screenwriting seminar in Russia and Bulgaria. She has garnered awards for her work in the film industry, including the Candlelight Award and the Moondance Legacy Award. Seger earned M.A. degrees in drama from Northwestern University; in religion and the arts from Pacific School of Religion; and in feminist theology from Immaculate Heart College Center. Her doctorate of theology, from Graduate Theological Union in Berkeley, California, is in drama and theology. 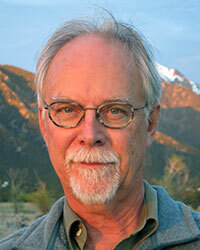 Seger has helped equalize the playing field for women through script consulting, seminars, and books on screenwriting. Her studies have led to a deeper understanding of how religion and the arts fit together in contemporary society. 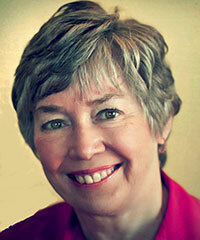 She is the author of 15 books on the topics of screenwriting and spirituality. She is one of the founders of the Philippines-based Women Development and Earth Foundation, and she also is an accomplished equestrian. The Lloyd E. Worner Award for remarkable efforts on behalf of the college will be presented to Ray Petros ’72. 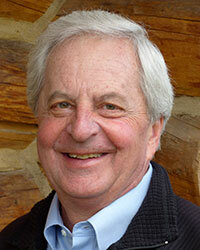 Ray Petros ’72 is a lawyer in Denver specializing in Colorado water law and related environmental and land use regulation. During his 40 years of private practice, he has assisted cities and other clients in obtaining water supplies and has defended counties in applying regulations to mitigate the impacts of large water projects. Upon graduating from the University of Colorado School of Law, Petros was appointed to a judicial clerkship with a justice on the Colorado Supreme Court. He began practice with a small natural resources law firm in Denver, and later became a partner in large national and regional law firms. In 1996, he co-founded his own firm, Petros & White, LLC. He has been a speaker and an author of papers at numerous professional conferences. Petros is a member of the Studebaker Driver’s Club and Avanti Owners Association International and currently serves on the Board of Directors of the Forney Transportation Museum in Colorado. His history with Colorado College includes serving as president of the Alumni Association Board (AAB) (2007-2009); trustee (2007-2011); AAB member (2001-2011); co-chair, 1874 Society (2012-2013); co-host of the Boettcher Scholars Alumni Reunion (2010) and fundraiser for the Boettcher Foundation’s Endowment for Distinctive Educational Programming; co-chair of a CC debate alumni reunion (2003) and co-founder of the Al Johnson Debate Endowment; an inaugural supporter of the Pueblo Scholars Endowment; co-chair of the Denver Alumni dinner/lecture series at the Cactus Club (early 1980s); and a member of many class reunion committees. He and his wife, Catherine, have participated in CC alumni trips to the Grand Canyon (rafting), Churchill, Manitoba (polar bear watch), India, Greece, and Tuscany. The Gresham Riley Award recognizing faculty, administrators, and staff who have made a significant difference to the college will be presented to Jeff Livesay and Rochelle Mason ’83. Professor Emeritus Jeff Livesay began his career at Colorado College in 1978 in the Department of Sociology and retired in 2015. During his career he focused on institutionally building the college by championing the Alternative Perspectives: B requirement of the curriculum; facilitating the CPF/NPR-affiliation of KRCC; leading the redesign of the college’s committee structure, and the creation of the Faculty Executive Committee, as chair of the Committee on Committees; moving to a six-block teaching load; and expanding the Sociology Department while he was its chair. He also encouraged students to actively improve the college and our wider society by working with three generations of CC student activists, serving as the faculty adviser to the college’s ACM Urban Studies Program, and by teaching courses that encouraged students to think critically about the social world. Livesay’s guiding roles on fostering the college’s evolution and engaging students merged powerfully with his founding of and work with the Public Interest Fellowship Program (PIFP).Established in 2003, the program has provided CC students and graduates with meaningful work in the nonprofit sector, thereby building the capacity of nonprofits while developing socially conscious nonprofit leaders.The Livesay Award, named in his honor, is presented each year to a CC graduate who is living out the mission, spirit, and goals of the PIFP. Livesay has received numerous awards, including the Sears-Roebuck Campus Leadership and Teaching Excellence Award (1991), the Bob Pizzi Outstanding Faculty Adviser of the Year Award (2003), and the Blue Key Award (2004, 2008), which recognizes excellence in scholarship, leadership, and service. 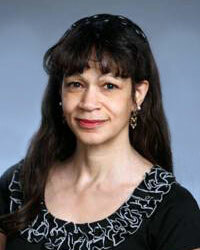 Rochelle Mason ’83 is the senior associate dean of students at Colorado College. Previously, she served as associate dean and director of minority student life and director of minority and international students. For more than 25 years, she has worked to improve the lives of students by creating constructive conversation and building bridges. She received the Victor Nelson-Cisneros Award for her commitment to diversity and inclusion for all members of the CC community, and an Urban League Service Award for commitment to the welfare of minority students. Mason received the Community Education Award and the Freedom Fund Award from the NAACP, and was recognized for enduring support of civil rights and social justice. She received the annual CC Student Mentor Award five times, as well as advising awards from Blue Key and Mortar Board National Honor Societies. She has served on and chaired numerous campus and national committees, including the Associated Colleges of the Midwest Committee on Minority Concerns. She also has been instrumental in outreach and partnership efforts that connect CC to the greater community and has served on the African-American Youth Leadership Conference Board of Directors for several years. Her involvement in community projects has focused on enhancing education and access for youth, so that they might have the kind of support she received as a first-generation college student.The Rochelle T. Mason Award for an Outstanding Event Contributing to the Empowerment of Communities of Color is presented by CC’s Butler Center. She earned her B.A. 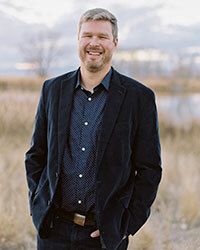 in drama from Colorado College and a master’s in education with a focus on intercultural counseling from the University of Colorado-Colorado Springs. She has directed and co-produced numerous theatrical performances at Colorado College, performed professionally, served as assistant director of Mariachi Tigre (a mariachi band), and is a member of the CC Choir. The Spirit of Adventure Award recognizes an alumnus/a who exemplifies the unique CC experience through a life of intellectual, social, or physical adventure. These attributes are characterized by the late Robert M. Ormes ’26, a Colorado College English professor from 1952-73 who was the inaugural award recipient. He was an adventurer of the mind, the body, and the spirit that exemplifies much of what is special about the college. His studies of the evolutionary history of plants and past ecosystems are part of a body of research that influences climate change science and our understanding of mass extinction events. Miller’s involvement in public education includes frequently giving public lectures, developing museum exhibits, writing popular science articles and books, and participating in science-based radio, TV, and social media venues. Miller has received the American Association of Petroleum Geologists Geosciences in the Media Award (2015), the Journalism Award from the Rocky Mountain Association of Geologists (2012), the Stephen H. Hard Award for Historic Preservation in the State of Colorado (2012), and the Philip C. Orville Prize for outstanding scholarship in Earth Sciences, Yale University (2006). He has been instrumental in increasing public outreach from the DMNS, where school field trips are free for Colorado grade-school students. He frequently lectures at CC, leads tours of the museum collections for CC classes and alumni outings, and helps lead field trips to the American West for CC students. Finally, he always has a few CC students and or recent CC graduates working in his labs. His wife is Robyn Rissman ’99. Read about the 2016 recipients.